What is Happening in the Spiritual Realm? For many Believers, operating in the gifts of the Spirit has become a normal way of life. But there is one often-overlooked, often-misunderstood gift crucial to the well-being of the Church: the gift of discerning spirits. This is the powerful ability of supernatural perception—to hear and see into the spiritual realm. Yet many people who have it wonder if they are crazy. "The most easy-to-understand-and-apply book available on the gift of discernment!" 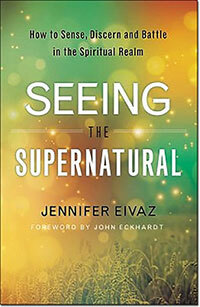 "This book will bring you great strength, insight and much encouragement." 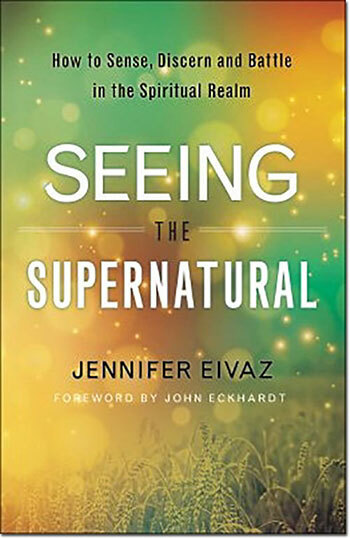 "Jennifer Eivaz dispels the mystery surrounding this gift and releases powerful and practical wisdom that will benefit individuals hungry to hear from God and see His Kingdom established in the earth." Jennifer Eivaz graduated from Oral Roberts University in 1995 and spent the next several years working in management positions overseeing marketing and public relations for various organizations. She presently serves as an associate minister with Harvest Christian Center in Turlock, CA and is focused on raising up a vibrant and effective prayer community that is tempered with love and hears the voice of God accurately. She is married to HCC's Senior Pastor, Ron Eivaz, and they have two children. Jennifer loves the move of the Holy Spirit and is a prophetic voice to her church and to others. Her teaching style is authentic and aimed at the heart, having been built on her personal testimony of God's incredible goodness and miraculous display in her life and in the life of her church.